Marshawn Lynch is the running back for the Oakland Raiders and is also one of the biggest goofballs in the NFL. Drafted in 2007 by the Buffalo Bills, Lynch has made a name for himself as one of the most overpowering, ground and pound running backs this league has ever seen but did you know his favorite candy is skittles? He eats them on the sideline before every game and even had them thrown at him after scoring touchdowns. 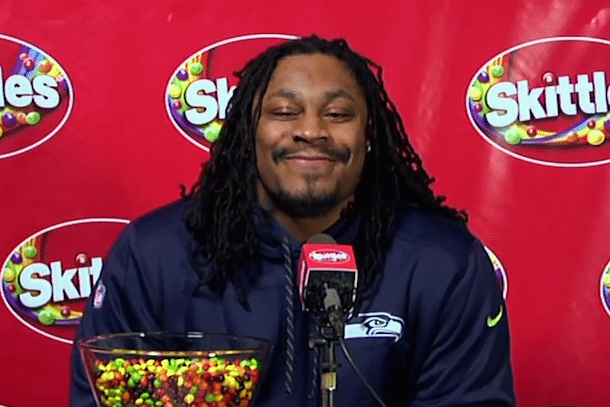 Lynch has even said “(Skittles are) going to make you run fast and they’re going to make you play good.” The Marshawn Lynch skittles phenomenon has gotten so big that skittles made him a spokesperson. 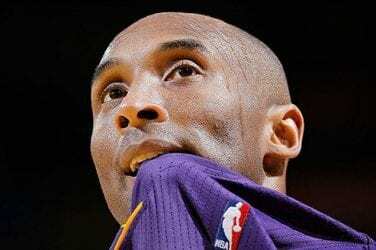 It is borderline ridiculous how long it took for them to make the sports Icon a spokesperson after how much he has done, and continues to do, for the skittles brand. Skittles sent Lynch to Houston, Scotland to promote skittles as well as the Super Bowl in Houston, Texas for the 2016 season. This little blast from the past gives the viewer an opportunity to take a look at the fun side of this very talented and serious running back. The Falcons/ Patriots Super Bowl is considered one of the greatest Super Bowl of the modern era. That said, why wouldn’t it have one of the greatest promotional campaigns audiences have ever seen. In this video, Lynch bikes around Scotland talking to locals and handing out skittles to get people excited about football’s most important game. He explores the local culture in a way only he can. His hilarious antics around the historic city are a must see. From touring castles from hundreds of years ago to trying to play the bagpipes, this video will surely put a smile on your face.